This is the second installment of The Best of Wine Importers (go to The Best of Wine Importers Part One). Perhaps this is a continuing series. Perhaps an annual review. At this time, it is part two of my favorite wine importers, currently. The premise is simple. Think cheat-sheet for wine pickens (like the wonderful Slim Pickens). There are so many wines to choose from, and labeling conventions are so distinctively local (nice way to say wine labels aren’t always helpful), and international wines are becoming so abundant…well, a discriminating wine buyer in search of that top price:quality ratio could use some help. Enter the importer, the cheat-sheet, your personal wine buyer. There is more than one entry point for buying the importer. As a naive buyer who just wants to know she is getting a decent wine at a decent price, she can buy with confidence if the back label has the name of one of the tBoW importers on it. As an informed buyer who knows she wants a decent wine from a region less explored (Austria’s Wachau to Spain’s Navarre to France’s Savoie) turn to the back label and look for one of these importers’ names. [ed. The Savoie article was written by Wink Lorch whose winetravelguides.com fills a much needed void in wine travel information]. Instead of acquiring an encyclopedic knowledge of regions, producers and vintages…stick with a handful of importers. Buy the Importer! These are tBoW faves. Charles Neal Selections: For my $$ he is the most exciting importer. When I watch TV I find it difficult to focus on one show for very long. I often watch TV with the sound off since the images tell almost the entire story anyway. However, when I light upon one Travel Channel show – Cash and Treasures – I often watch to the end with the sound on. Kirsten the hostess effervesces her way on hunts for copper, morel mushrooms, and precious stones in Wisconsin, North Carolina and Alaska. She is always thrilled at her “discoveries”. This is how I picture Charles Neal roaming through the Savoie or the Munster valley. In blue jeans, work boots, tee shirt and jacket. Having a ball. Discovering wines others have overlooked or left behind. Here is what he has to say about one of my favorite regions. “The Languedoc is one of Southern France’s most exciting wine regions. For years, it was regarded as France’s wine lake, accounting for massive quantities of inexpensive wine that was often bottled in gallon containers and sold very inexpensively to supermarket chains. The past fifteen years has seen a renaissance within the region, with hundreds of small producers making excellent wines of all colors from a wide array of appellations, all of which display distinctive character.” His website puts Kermit Lynch to shame! Neal does not just write about the wine. He writes about the region providing a ton of information about the farmers, producers, even the livestock. If you want adventures in wine then I highly recommend Charles Neal Selections. Robert Kacher Selections: “Bobby” Kacher is wine-speak for q-u-a-l-i-t-y. He imports from France. His portfolio is narrow, almost exclusively French but covering most of the notable regions with special emphasis in Burgundy. Selections are top notch and good value. I seldom look for Robert Kacher wines, however, I often come upon them. Every retailer wants his selections. So, when you find yourself in a rush in a Bev Mo or some tony retailer in a strange town you will almost always be able to find a Kacher wine. Neal Rosenthal Wine Merchant: Was Neal always there first? It seems so…since 1978! Neal Rosenthal, like Kermit Lynch, is one of the first of a wave of importers who succeeded the old guard from the 50s and 60s (e.g., Robert Haas, now Tablas Creek co-owner, or Frank Schoonmaker). 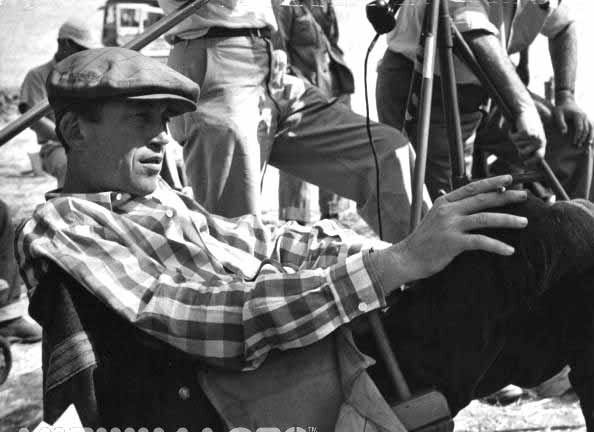 I think of Neal and Kermit succeeding Haas like Coppola and Scorsese succeeded John Huston and Don Siegel. Neal (like Kermit) is one of the original terroir guys. He devotes a web-page to the “concept of terroir“. Give it a read and note the decidedly anti-Parker/Wine Spectator tone in the discussion as Neal derides media-driven winemakers who enter a “dangerous zone…where nature begins to be denied”. Neal’s beat is France (all the right regions from Languedoc to Burgundy to Bordeaux) and Italy; 75% French wines. His website is kind of awkward; probably the kind that scares off Kermit. All the right info is there…but it ain’t Charles Neal. One of the really nice features is he provides images of the labels which is extra nice for the likes of tBoW. may not be looking for a Neal Rosenthal import if I find one I am probably going to buy it. A word about his logo. While the company is Mad Rose the back label often has an oval with Neal Rosenthal’s name inside, or just his name – Rosenthal Wine Merchant – in extra large font. It is distinctive and you should look for it. The mark of long standing quality. Consider for a minute a few movies directed by John Huston and Don Siegel (youtube vids linked). Robert Chadderdon Selections: This will be the shortest entry. As Parker writes “Chadderdon remains one of the mystery men among top small importers in the United States. Rarely seen and difficult to reach by telephone”. I cannot confirm. I never tried to call him. He does not appear to have a web site. I do know that his wines are highly touted by my local retailer WHWCo. I bought a white Graves today. Link here to a Seattle Times article on Mr. Chadderdon. Unlike the reporter I find the price points to be very reasonable. And the wines are always worthwhile. the 2005 Clos de la Roilette (K&L Wine Merchants). If the wine tells a story about the importer (and why shouldn’t it?) then the story of Louis/Dressner is the search for individualistic, well made, true-to-character wines that are easy on the palate and the wallet. For example, Clos de la Roilette is named after the owner’s horse (ca. 19th century) which is related to his property getting gerry-mandered out of the Beaujolais Cru of Moulin-√†-Vent. The story is from the 1920s. The wine was appellation Moulin-√†-Vent and considered one of the best sites in the region. What is distinctive about Moulin-√†-Vent is that there are outcroppings of manganese. In 1924, it was gerrymandered out of Moulin-√†-Vent into the Fleurie AOC. The owner at the time, didn’t put Fleurie on the label and only sold outside of France. The Coudert family bought the vineyard in the 1950s and does in fact have the AOC Fleurie on the label [ed. special thanks to Joe Dressner for his oversight!]. The Louis/Dressner website states “We have no brands. We are not looking for them. We do have a group of often fanatical growers who are doing their best to make wines that are original because they are honestly crafted”. In fact, this crew is downright out to prove something…that wine is for fun and pleasure. Check out their concept of the Cuve√© Buster. The story ties in with a corgy-pit bull hound that gets lost on the runway at JFK, but is more than another dog story. Or horse tale. Will keep our eyes on these guys. Forthcoming book review…I am reading a book by fellow wine blogger Natalie MacLean. The book is “Red White and Drunk All Over”. Was the publication date July 4th? Her website is chock full o’ stuff. Her book is HOT. I feel pretty confident she is not just writing about wine. In the meantime check out her Valentines Day tour de force where she matches wine to 50 chocolate delights. Too lazy to link? Here is her short list. Natalie’s top 10 wine and chocolate matches. I highlighted the ones that got my mouth watering.